African American Life Insurance..... Don't Settle For Less. African American Life Insurance….. Don’t Settle For Less. The following article addresses one of the most under served markets in the industry—the African American community. 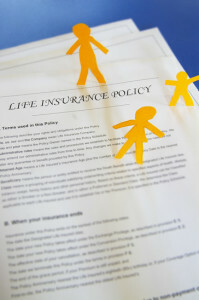 If you are interested in finding the best life insurance companies we can help you out. We also work with the top no medical exam companies. Please give us a call today if you are interested in talking to an experienced life insurance professional about your life insurance options. Two things have always surprised us at TermLife2Go when it comes to life insurance and the African American community. The first is, there really doesn’t seem to be the need to stress the importance of obtaining life insurance within the African American community. In fact, in our experiences, the African American community already appreciates just how important it is to have a life insurance policy in place for their loved ones. This is why the African American Community has one of the highest insured percentages of any ethnic community in the nation! The second thing that comes to mind regarding life insurance and the African American community is just how often many within the African American community will settle for a smaller, more expensive whole life insurance policy, rather than pursue all of their options and secure a life insurance policy that will better server their needs! Now rather than focus in on why the African American Community seems to have a better appreciation for life insurance than many other ethnic groups in America, we at TermLife2Go decided to focus on why—even though the African American community seems to have a better appreciation for life insurance—they continue to be under served when it comes to the life insurance policies that they purchase. Or how about those that are only concerned about covering the cost of their own burial, ignoring the fact that if they were to pass away, the financial cost to the family will almost always exceed the amount covered through a small burial life insurance policy! So why is the African Community so under served when it comes to life insurance? We believe that the African American community has been under served by the life insurance industry for two main reasons, money and efficiency. When it comes time for a life insurance company to offer coverage to an individual there are generally three different types of life insurance policies that can be offered. Be limited to small life insurance coverage amounts. Generally contain what is called a “graded death benefit” clause stating that the policy must be in force for a period of time before it will actually payout in the event that the death is due to a “natural” cause. Are generally the most expensive “dollar for dollar” types of coverage to purchase. Simplified Issue Life Insurance Policies. That you answer several medical questions to determine eligibility. These types of policies will generally be much less expensive than guaranteed issue life insurance policies, but will also typically be more expensive that fully underwritten term life insurance policies. Fully Underwritten Term or Whole Life Insurance Policy. These are life insurance policies that will require that the insurance applicant take a medical exam (paid for by the insurance carrier). In addition, the applicant will answer many health and life style questions prior to being approved for life insurance policy. Now as you can see, there’s quite a few differences between the three types of policies listed above. Some require very little if any underwriting requirements prior to being approved for life insurance while others require a great deal of time, energy and money before an offer of coverage can be extended! Less underwriting requirements lower the cost to the insurance company. Can contain additional protections to the insurance company “graded death benefit” thereby limiting the insurance companies exposure to risk. And generate more revenue for the insurance company! So, not only are these types of insurance policies cheaper to issue, they also cost more dollar for dollar. What type of life insurance do I have right now? What types of insurance policies am I being offered? Why hasn’t anyone ever explained to me the different types of life insurance policies that are available? And why do I keep getting a letter in the mail about life insurance for just $1.00 a day? The only difference is that with TermLife2Go, you’re going to know why one of these policies might be best for you. We pride ourselves on taking the time to know each and every one of our clients so that we can best determine their specific need and develop an insurance “Strategy” to best meet their needs. Thank you for reading our article, African American Life Insurance. If you have any questions or comments please leave us a message below. I have come across two life insurance policies, for my mother, Daisy Bailey: Policy #1318968 43 1 & 1319097 43 1. Date of issue 9/06/1943. Are they any good? Thank you. You would need to contact the insurance company that is listed on the actual policy directly and ask them about the status of the policies that you are referring to. We here at TermLife2Go simply would not have access to such information. Next Post: Top 10 Most Dangerous Jobs Life Insurance Companies Hate!